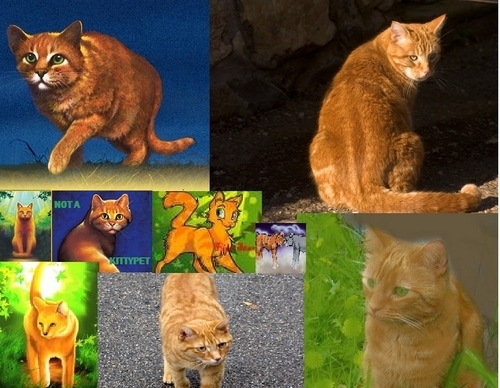 firestar collage. put back togather!here it is, firestar! (or firepaw, fireheart, rusty). HD Wallpaper and background images in the Warriors (Novel Series) club tagged: others warriors cats fireheart clan warrior. I like that. Yes I like it a lot. meep! (Sorry, thats a thing on the warrior forums on social strata)its awsome!